“What is a credit union?” is a question many Americans were asking in 2011. When banks proposed adding fees for debit card use, customers flocked to the smaller, more personal banking institutions. In 2014, credit union membership topped 100 million across the U.S. In addition to a more personalized experience, there are numerous reasons people prefer small credit unions to large banks. To understand why, you first need to look at what makes credit unions unique. What is a Credit Union to You? 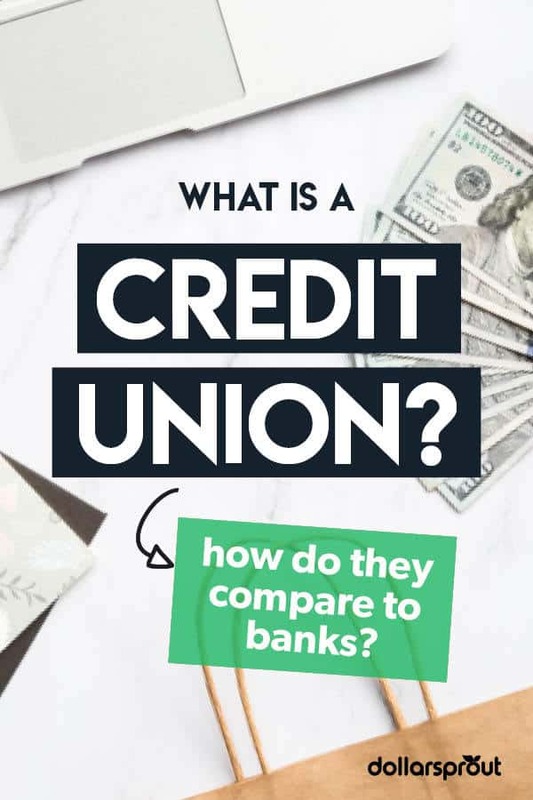 When you think of a credit union, you might instantly think of a bank, especially if you have a few credit unions in your town or you’ve seen a sign above what looks like a traditional bank. While credit unions may resemble banks and offer many of the same services, but there is one big difference between the two types of institutions. Unlike banks, credit unions are member-owned. You can think of them like a cooperative where each member is a shareholder in a not-for-profit organization. Sometimes the money in your credit union account is even called shares instead of cash. Because credit unions are member-owned, credit union members typically get to enjoy lower interest rates among other benefits. You can think of the money inside of the credit union like a big pool of money provided by all of the members there. As a member, the number in your account represents what portion of that pool you own. The pool of money provided by the credit union members is what’s used to offer loans and provide other services to members. This means credit unions are very different from traditional banks and have their own philosophy of members helping members. Banks have to focus on earning profits and pleasing their own shareholders. Because credit union members are part of a not-for-profit cooperative, they have the ability to concentrate more on keeping their members happy. Credit unions offer many of the same services as regular banks. For example, one of the first checking accounts I ever had was with the credit union located in the student union at my university. Credit union services can also include auto loans, personal loans, and home loans depending on the size of the credit union and the resources they have available to their members. Some credit unions have very specialized accounts like holiday savings accounts. They also might offer different perks to their members like kids’ savings accounts and educational programs. Some credit unions have their own branded credit cards or partner with debt counseling companies to offer free help to their members who want to pay off debt quicker. One of the local credit unions where I live allowed members in good standing to skip their car payments in December with no penalty so they could have more money available for their Christmas budget. It’s unlikely that a big bank would offer something like that because they have so many customers. See Also: What is a CD Ladder (and Should You Use One)? Every financial facility has its pros and cons and credit unions are no exception. The following benefits and disadvantages of credit unions should help you decide if using one is the right choice for your finances. Credit unions typically offer more personalized service and lower fees and interest rates, among other perks. As evidenced, one of the biggest benefits of a credit union is that the service is very personal. Some credit unions are extremely small and cater to a tight-knit group in their local area. Other credit unions are a part of a larger network of credit unions with multiple locations in a big city. Regardless of how big or small your credit union is, you are still a member. In many credit unions, you can still experience what it’s like to have personalized one-on-one service, a banker to answer your questions, and more. Those are things that are hard to get if you do all your banking online. Credit unions still have to charge fees and interest rates. After all, they still have to pay their employees like their tellers, bankers, security guards, marketing team, etc. However, because credit unions are member-owned, they’re able to offer lower fees and sometimes lower interest rates on some products. Keep in mind, these rates might not be as low as some of the online banks out there. As so, you have to decide what’s more important to you. For some people, that might mean having a local bank with more personalized service. While credit unions are excellent for some, there are still drawbacks you’ll want to consider. Credit unions usually have specific criteria for joining like living in the local area or attending a certain school. Of course, every credit union is different. Some credit unions are available to people anywhere in the U.S. as long as they make a donation to a specific charity. Others offer membership to people who live within city limits or work for a certain institution. The point is that, unlike the bigger banks that dominate the financial industry, you may face more stringent requirements in order to become a credit union member. When you’re a member of one of the big banks, you can typically find a branch just about anywhere. You can likely find an ATM for that bank in many big cities. If not, your bank might refund ATM fees if you have to use an ATM not associated with them. With credit unions, that probably won’t be the case. They don’t have as many locations or ATMs as larger banks, although many have expanded their reach through ATM networks. While some credit unions have fully embraced technology, others haven’t. Some credit unions might not have things like check deposit via phone or an app you can use to check your bank accounts. Some of them have archaic websites as well. This might be frustrating to younger generations who are used to accessing everything with the click of a button. On the other hand, it might not matter at all if you prefer to do most of your banking in person. So far, we’ve covered many of the details regarding how credit unions operate. Here are a few more questions you might be asking. Credit unions are not FDIC insured, but they might be insured by the National Credit Union Insurance Fund or the NCIF. 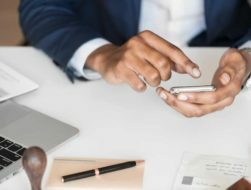 The NCIF and the FDIC are both federal departments and both insure up to $250,000 of certain categories of banking products (like checking accounts or CDs). If a credit union isn’t insured by the NCIF, they still might be insured by state insurance or even a private insurance company. This is an important question to ask before joining a credit union because you want to make sure the institution is accredited and insured before entrusting your money to them. Your creditworthiness is important when it comes to getting a loan. So, if you have poor credit, it might be difficult to get a loan period. The benefit of a credit union is that you can talk face to face to a person. If you need a loan, you can explain why. If your credit is less than stellar, you can share the steps you’re currently taking to improve it. Talking to a human about a loan, especially if you aren’t sure whether or not you’ll get one, can help you feel more confident about the process. Even if you aren’t approved for one, a lender at a credit union might be more likely to help you understand why and what you can do in the future to qualify for one. That beats an instant rejection from an online loan application any day. Ultimately, credit unions are a great way to bank. They harken back to an earlier time where people knew the employees at a bank and where they felt comfortable enough to ask a banker for advice about a loan or investments. Although credit unions tend to be smaller with fewer locations and sometimes outdated technology, there are also numerous benefits. If you’re looking for the best rates in your area for a personal loan, a home loan, or a car loan, you might be surprised at what your local credit union can offer you. It really does pay to compare. Even a 1% difference in interest rate could mean a significant amount of cash if you’re making a large purchase. Also, keep in mind that many credit unions offer educational programs for you and your children. They often donate to local charities or help sponsor or host charitable events in the area. Many of them have accounts that encourage kids to save. They might also have different perks around the holidays, like allowing you to skip a payment or helping you set up a holiday savings account. When you’re considering where to open an account, consider becoming a credit union member. You might find there are more advantages than disadvantages to doing so depending on where you live and what your local credit union offers.